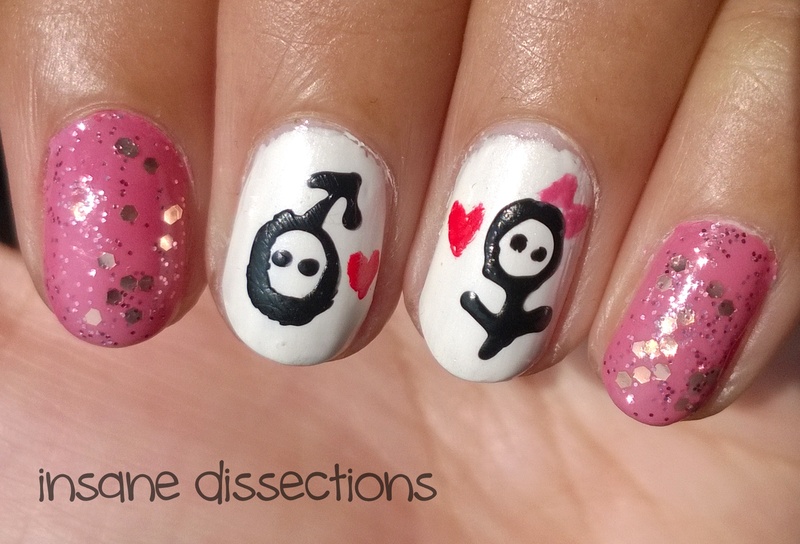 It has been a while since I posted a nail art, and this one has been sitting in my folder for sooo long. 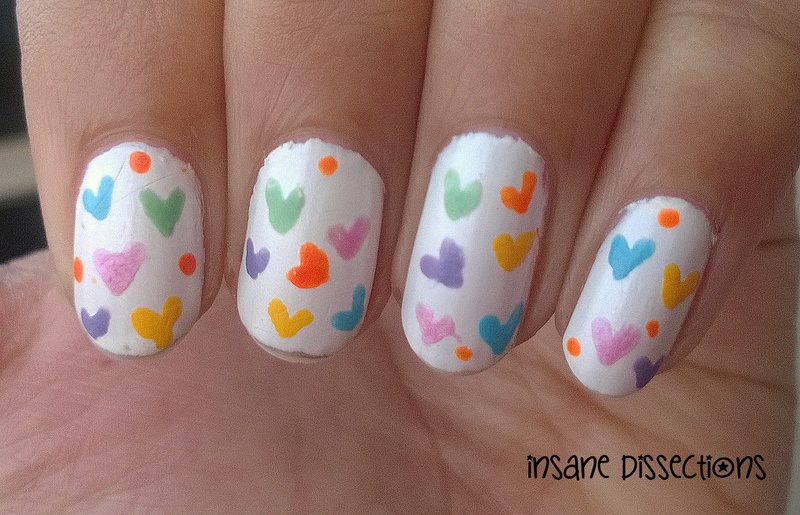 This is an easy peasy floral nail art. I chose the color pink, but you can pair it with any color of your choice. 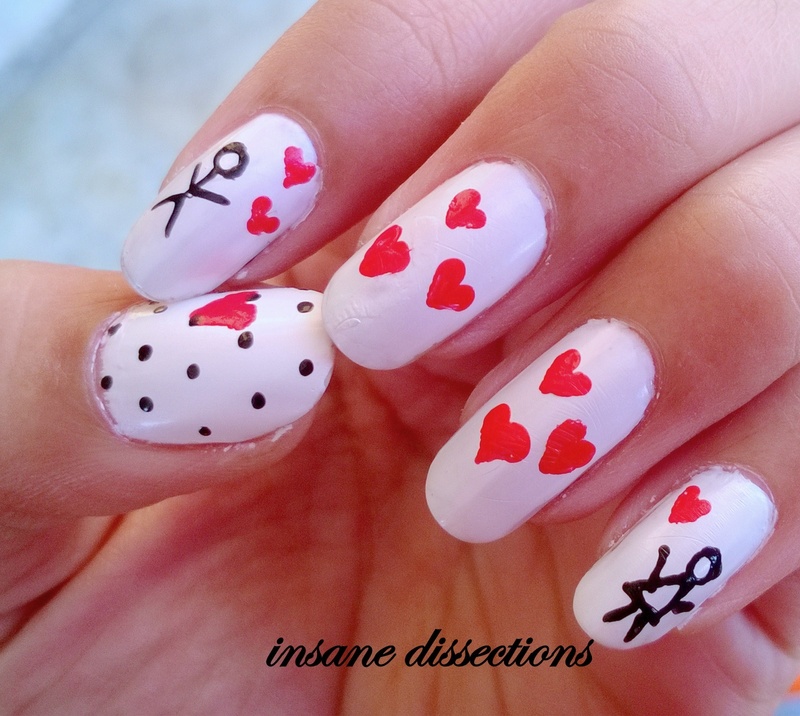 This is one of my go-to nail art when I dont want to spend much time doing it. 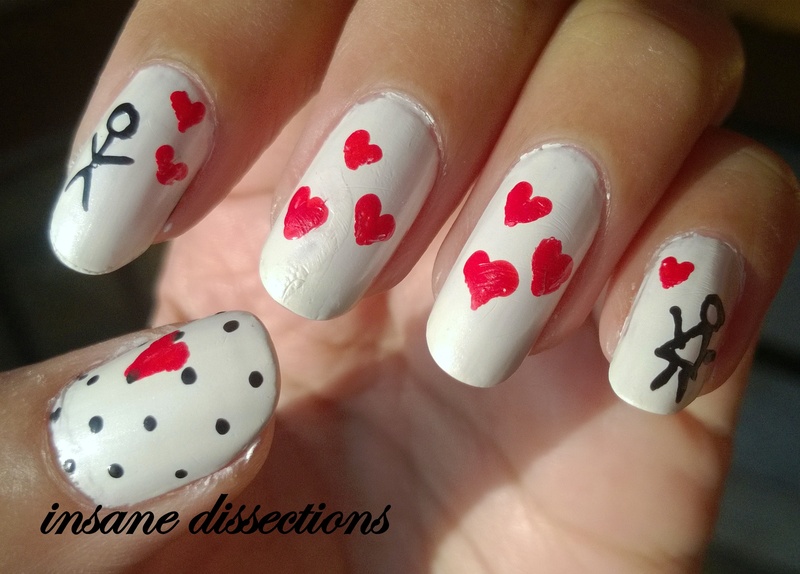 All you need to do this nail art is a dotting tool/ bobby pin/ tooth pick and your choice of nail polish. 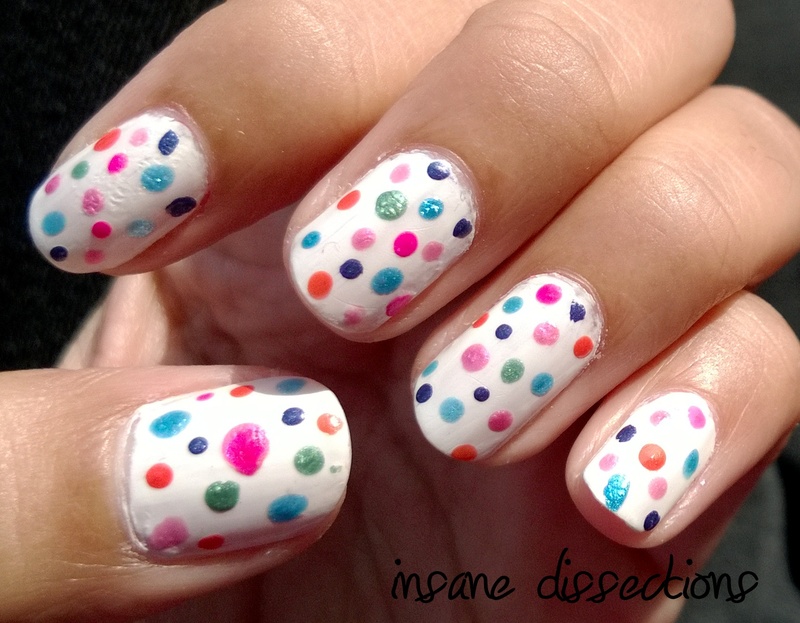 I like to do my dots using a tooth pick as it gives more uniform dots. 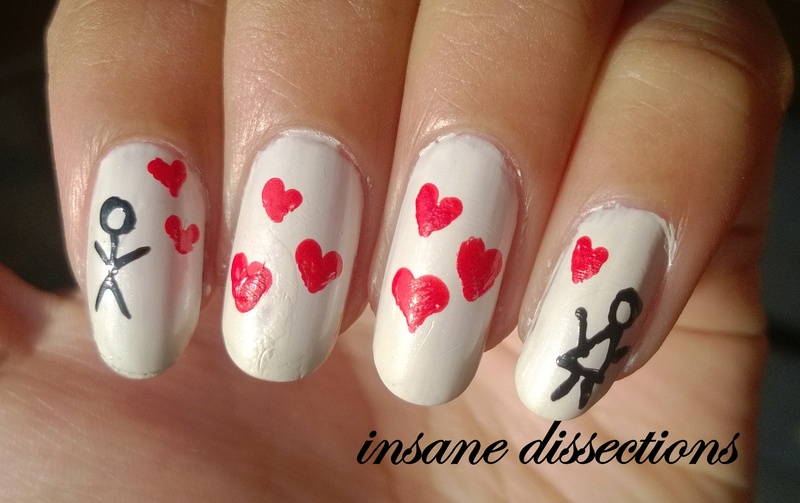 Since Valentine’s is all about love and hearts and pinks, I incorporated all of this into one nail art. 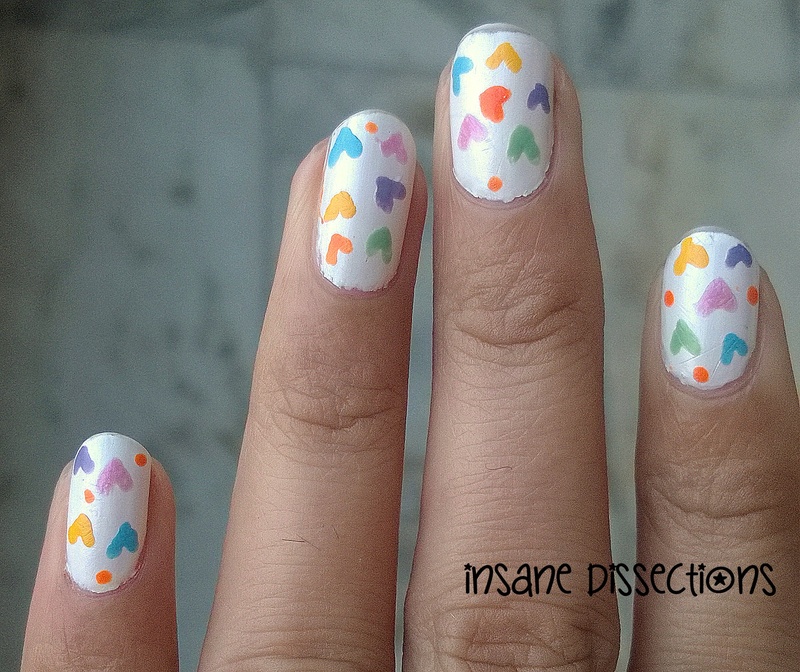 I always say that white is a great base color for nail art, but I wanted to use some other color this time. So I settled on this pink and white combination. If you don’t know about it, male is represented by this symbol of Mars – ♂ : a circle with an arrow pointing north-east. 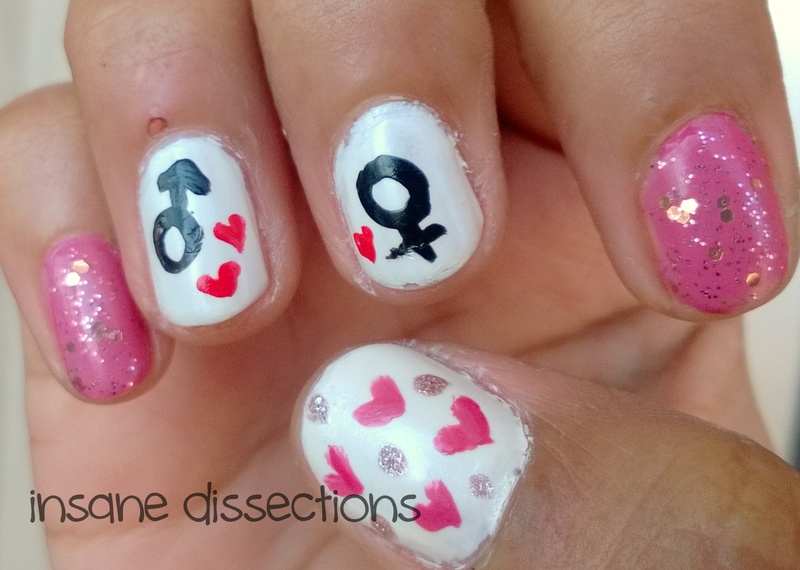 Female is represented by the symbol of Venus – ♀ : a circle with a small cross underneath. 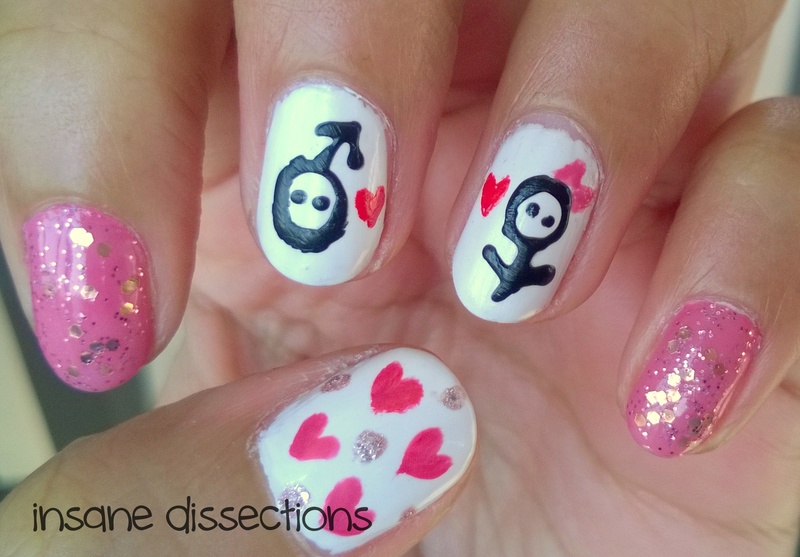 I took the liberty of drawing a pink bow on the female symbol ^_^ (Okay, also to make it look like a female. 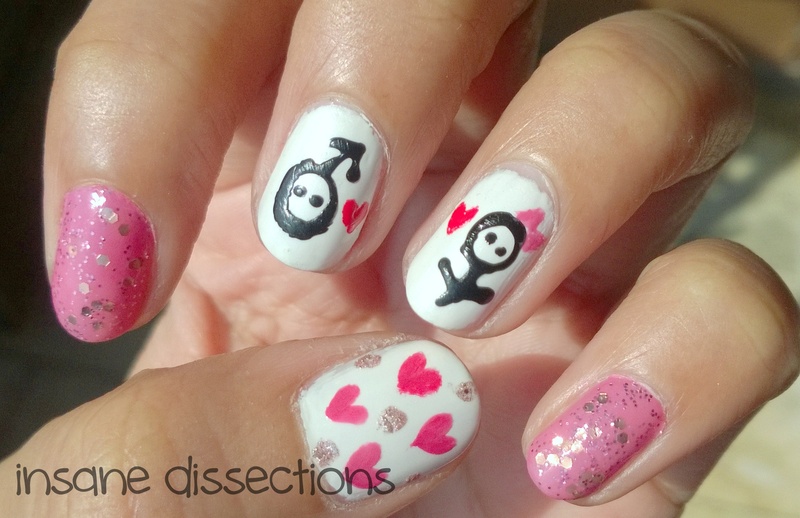 Otherwise these are just weird shapes for a layman). 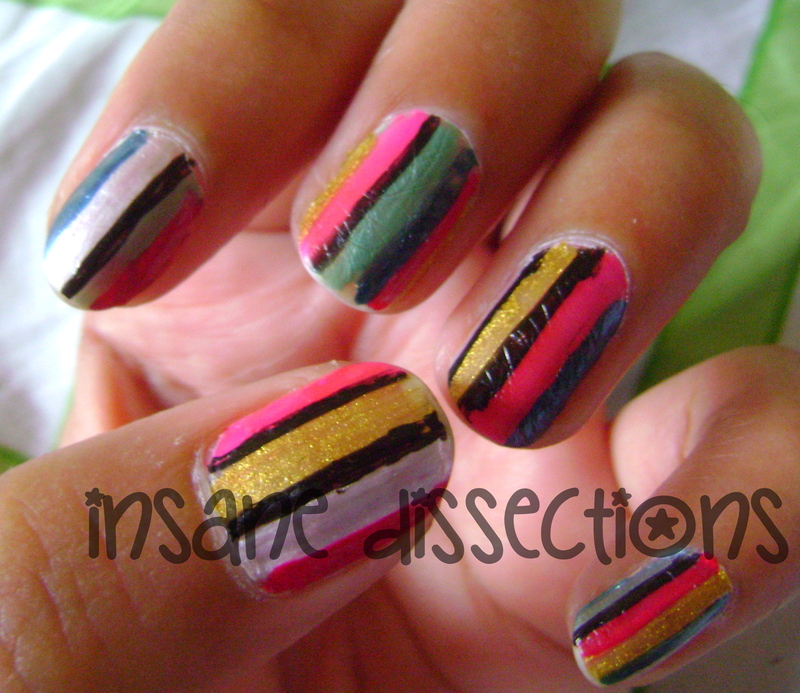 I always always always do nail art on both my hands, no matter how shaky my left hand is. 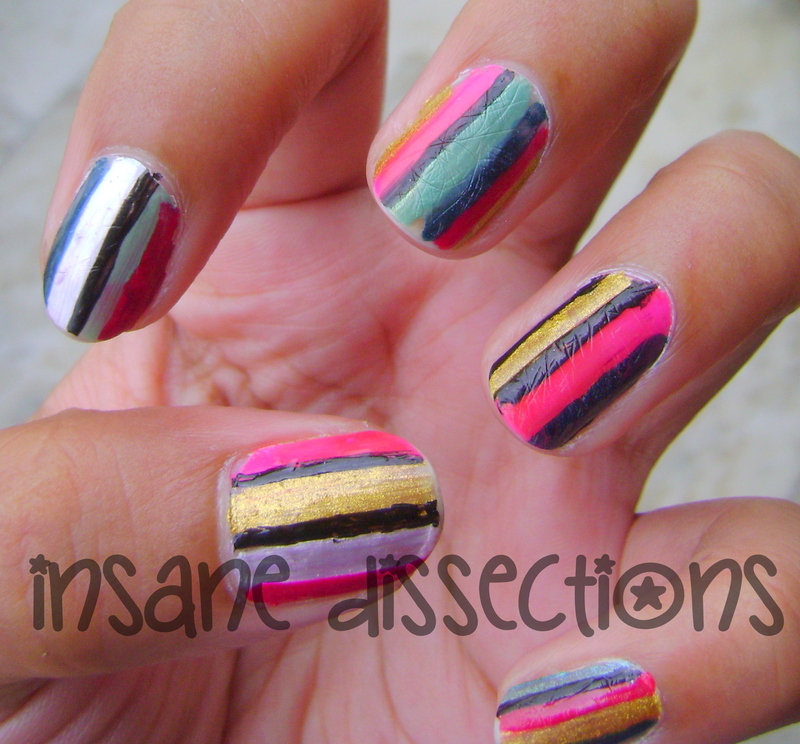 This is how my right hand mani looked. Not bad, haan. 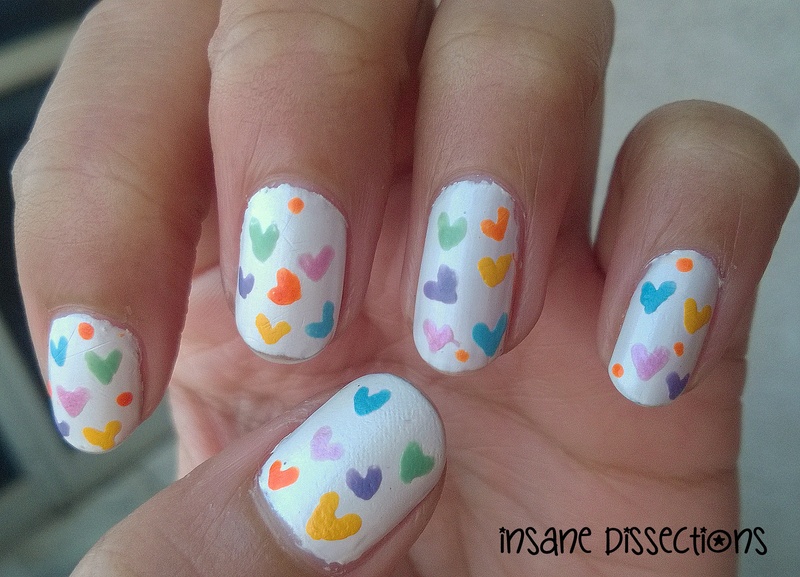 I drew the hearts using the tips mentioned HERE. Super easy! 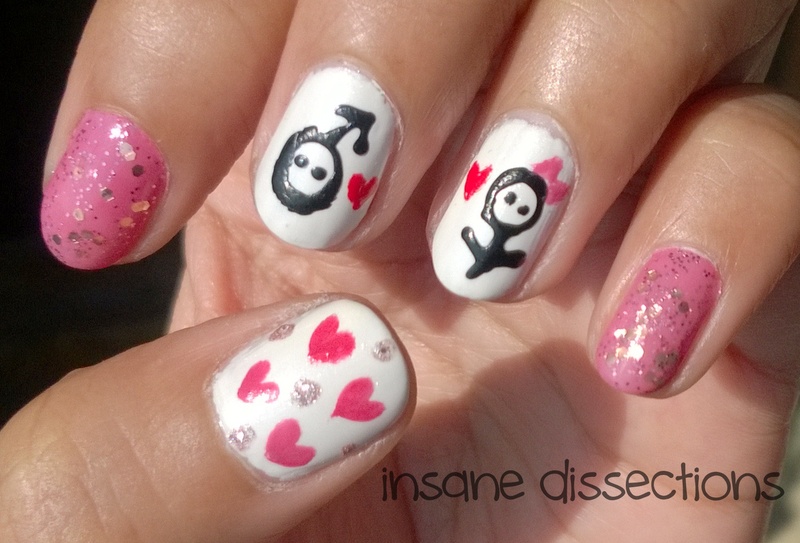 And finally I finished it with a glittery top coat on pink nails and some polka dot on my thumb. POLKAAAAAA DOOOOOOOOTS……make me so happy. I like polka dots everywhere- be it polka dots dress, polka dot accessories, polka dot home decor…I would sooo love to have a polka dot wall in my home. 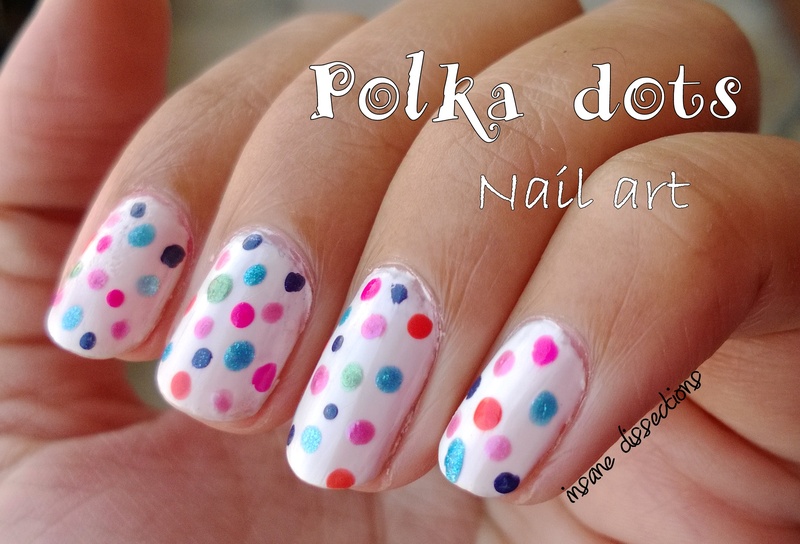 Now Polka dots is my favorite nail art for 3 reasons. 1. It doesnot take long to do. 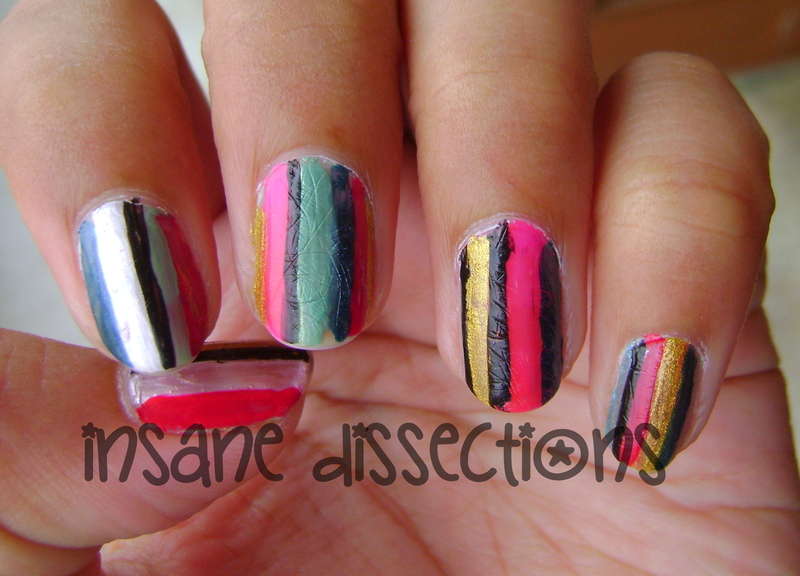 Keep your polishes ready and it wont take more than 5 mins. 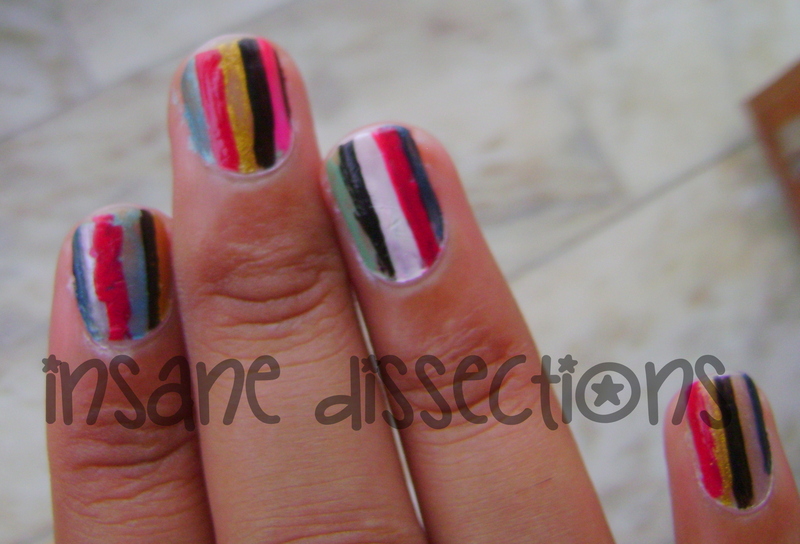 I did this nail art a while ago. White is such a versatile color. You can paint just anything on it, like an empty canvas. Plus white makes other colors pop. 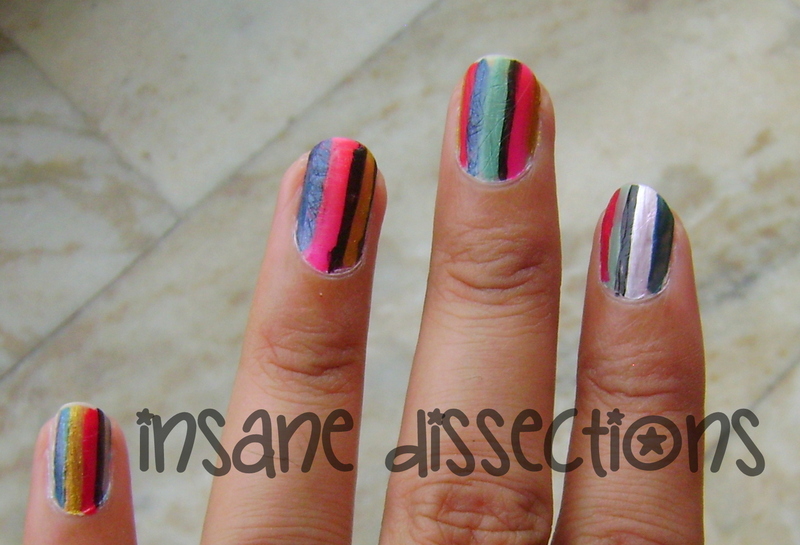 Like I said, this nail art doesnt require much precision. 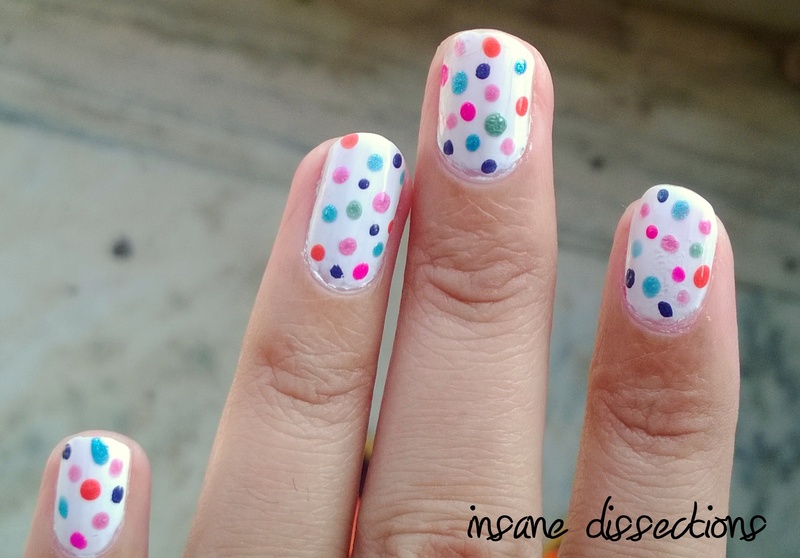 I have made the dots directly from the nail polish brush. No special tools used. That is why my dots are not perfect round. 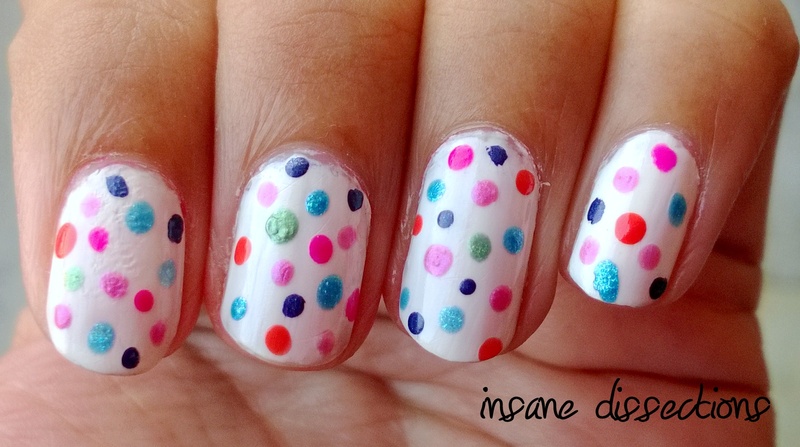 Grab as many colors as you want and start dotting. No need to make it uniform.